I have had my eye on this tote for a while. 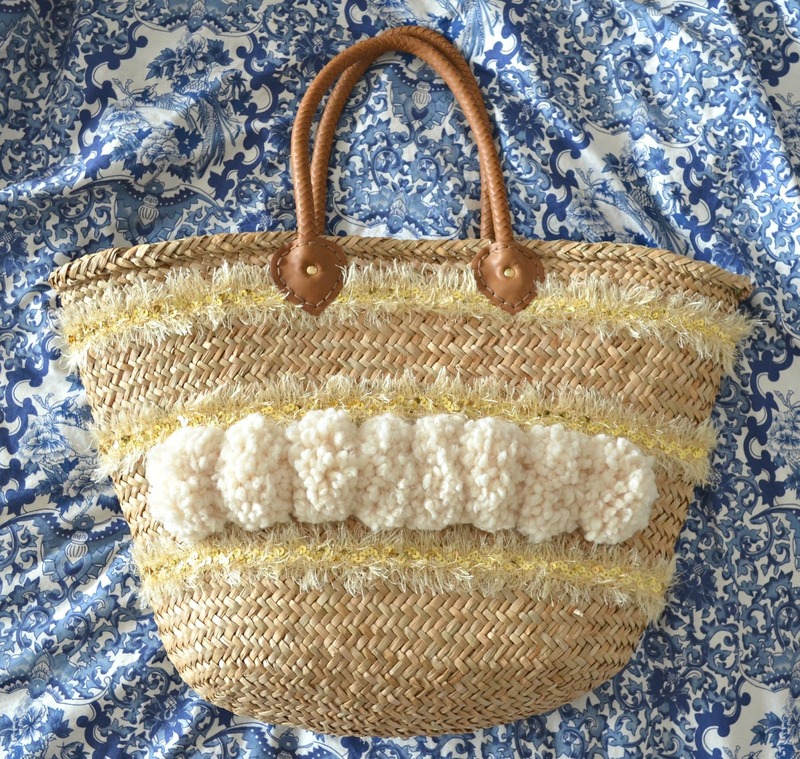 I love all things Eliza Gran, and her baskets and totes are beautiful. But, I knew I could make myself one with some of the things I had around the house. This is an old straw tote from Target that they no longer carry, but Target does have some similar ones here and here. Scroll through these to see my favorite Eliza Gran totes and baskets. Anyways, now on to how to make these pom poms. They are super easy to make! I wasn't too sure at first, but once you do one or two you can do it in your sleep! I purchased a pom pom maker from Joann's, and I ended up using the larger of the 2 sizes to make these pom poms as well as the ones for my Valentine's Day garland. You don't have to use a pom pom maker, you can cut down a piece of cardboard to the width you would like. 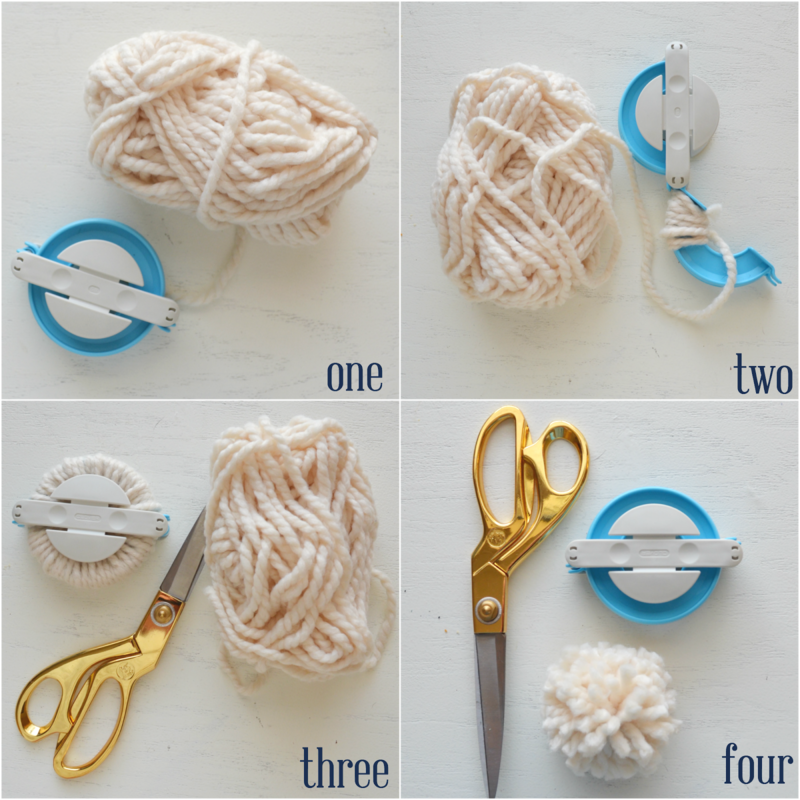 I have made pom poms both ways and using this pom pom maker makes them more even and fuller. For this tote I ended up needing 8 pom poms. Always try to make a few more than you need, because once you go to attach them you end up needing more than when you first lay them out. 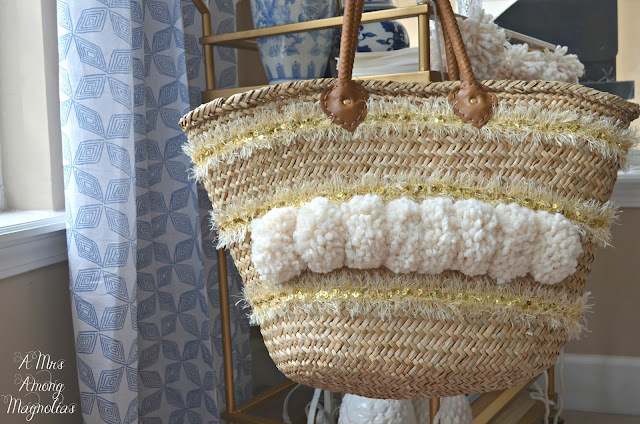 Once you've made all your pom poms, lay them out on the tote in the order you want them on there. Then once you have them laid out, all you have to do it sew them on. For this, I used a regular sewing needle and some cream thread. But if you have a bag with a looser weave, you can just tie them on with a piece of the yarn. 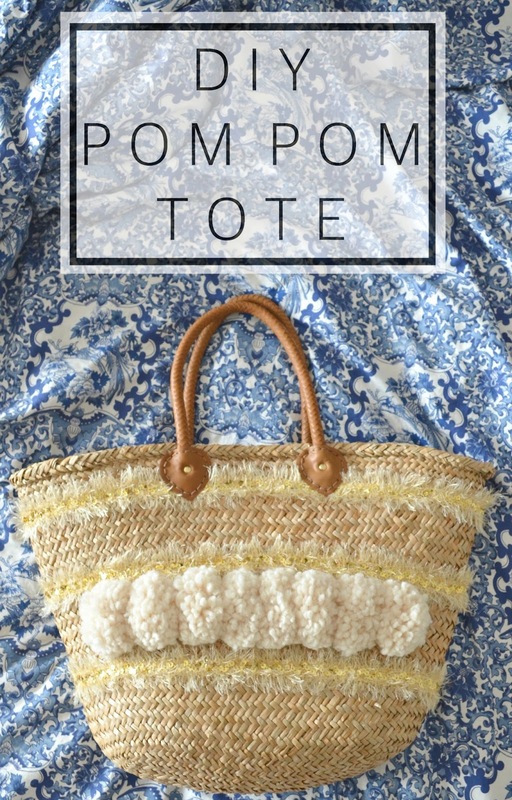 After a few minuets of sewing, you will have a pretty new pom pom tote to carry around with you! Simple, right? There are so many possibilities! You can choose whatever color yarn you want and you can always mix and match. If you make your own, tag me! I would love to see! 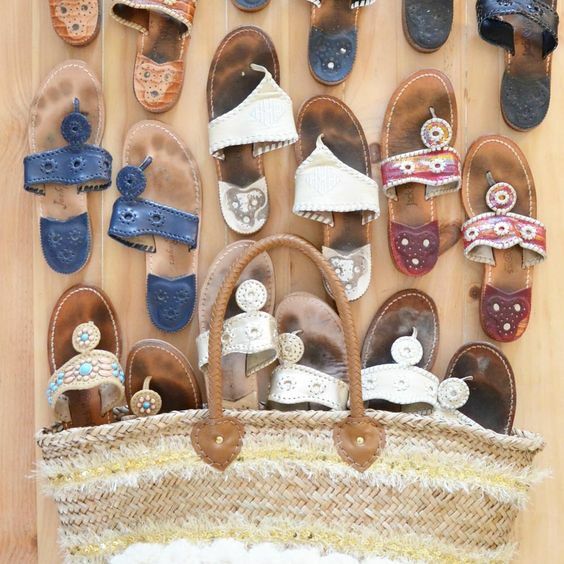 I've currently got my tote filled to the brim with my Jack Rogers collection. I can't wait til spring and summer because I have a good feeling this tote is going to get used all the time!